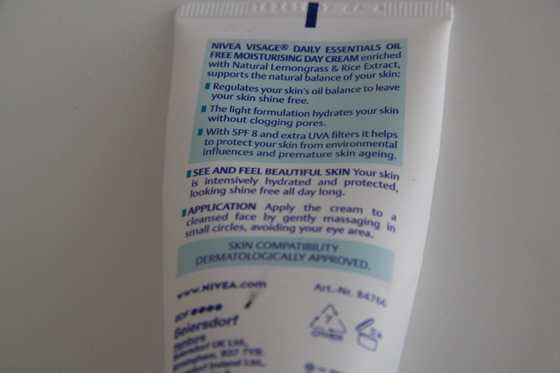 Whenever I run out from a day moisturiser I mostly move on to a different one, this time I went for the Nivea Oil Free Moisturiser. I wanted a oil free one so it could be used under my foundation.When buying new cream I always look at the SPF, so I would get some sun protection. As my skin is Combination to Oily, I notice that my skin got a lot drier when I had been using this, it also left my skin very oily looking, even thought it supposed to be "oil free". That's pretty annoying as most moisturisers should be moisturising, not drying out your skin. When I apply foundation I can see dry patches around my cheeks (I didn't change my routine, I only added this cream to it). The smell is okay, not a smell I would normally go for. 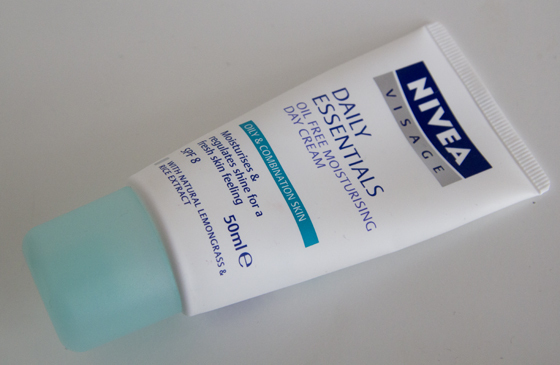 Not really sure why I had picked this moisturiser up as my skin dislikes most of Nivea products. I'm looking for a replacement any recommendation? You must remember that this my not work for me, but it may work for you. The price isn't too bad, but it just didn't work for me. This product had last me for around 2 months with everyday use. That's so annoying! I hate it when that happens and you have a tube of perfectly good (but not for you) moisturiser laying around. I'm on the look out for one for dry/sensitive skin but no luck so far! Thanks for this little review! Funny how different things work for different people!